Preheat oven to 350°. Beat cream cheese until smooth. Beat in mozzarella, red peppers and seasonings until blended. Unroll tubes of crescent dough and separate each into two rectangles; press perforations to seal. Spread cheese mixture over each rectangle. Roll up jelly-roll style, starting with a short side; pinch seam to seal. Wrap and chill at least 1 hour. Cut each roll crosswise into eight slices; place on ungreased baking sheets, cut side down. Bake until golden brown, 20-22 minutes. 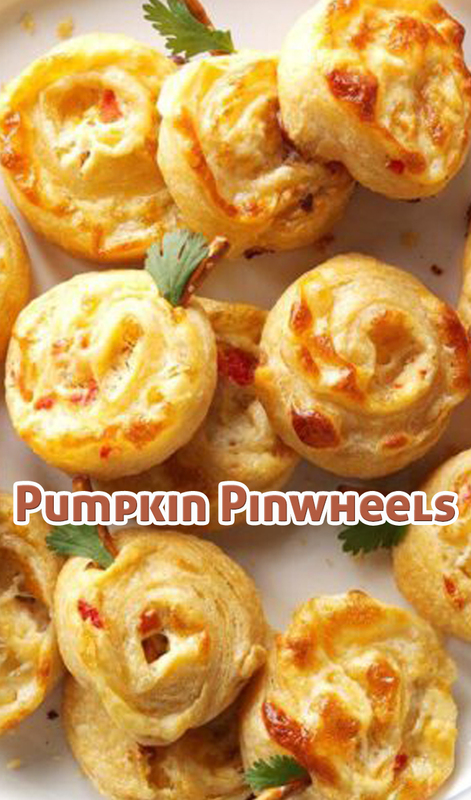 If desired, decorate with pretzel sticks and cilantro leaves to look like pumpkins.